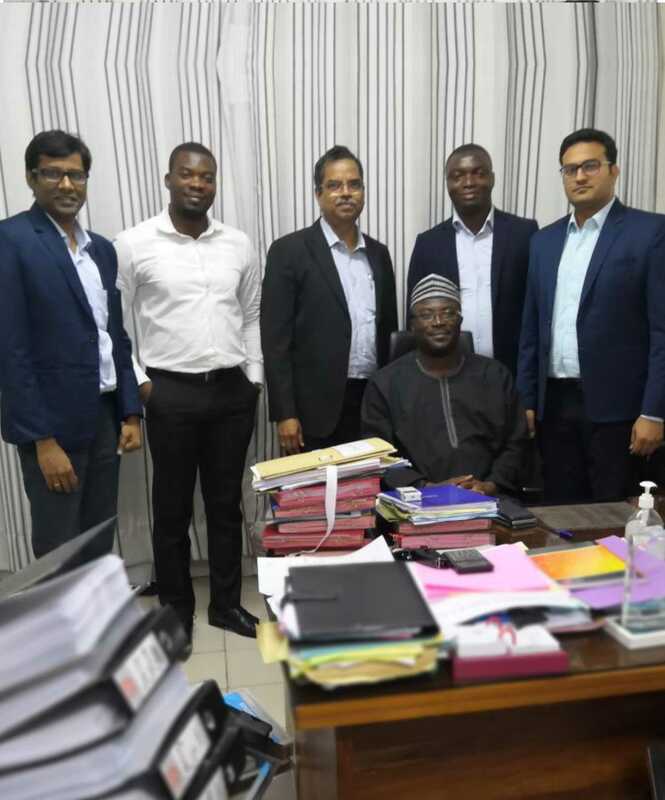 SkipperSeil India has received order for up-gradation of Electricity Distribution Capacity Project in Togo. The EPC project has undertaken under the GOI LOC Electrification works to develop the distribution network for rural electrification of localities & sub localities in Kara and Savana regions of Togo and involves construction of Medium Voltage (MV) and Low Voltage (BT/LV) network. The contract was signed in the presence of Mr. Ahmed BOUKARI, Director Projects, CEET and Mr. Boda S. WAGUENA, Project coordinator, CEET on 05th may 2018. The ceremony was attended by Mr. Kalyan Sunder, Sr. Vice President and Mr. Pankaj Bahar, Manager-Business Development from Skipper Ghana Ltd. and Mr. Vijay Agarwal, Manager tendering from SkipperSeil Ltd., India. ​The project is slated to play a key role in effectively distributing electricity to subscribers and increasing electrification rate of project localities.